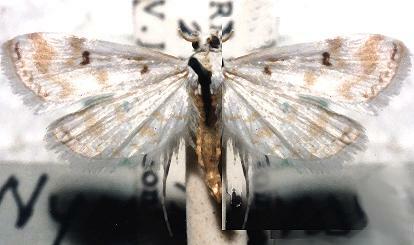 image courtesy of Biodiversity Heritage Library, digitized by NCSU Libraries. 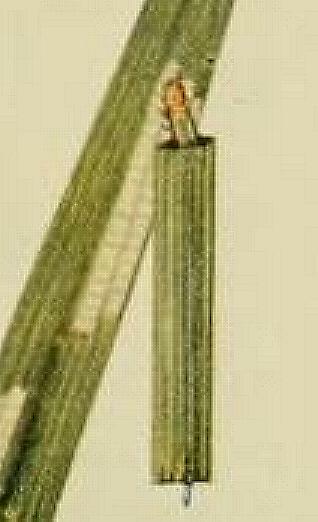 Rice ( Oryza sativa, POACEAE ). 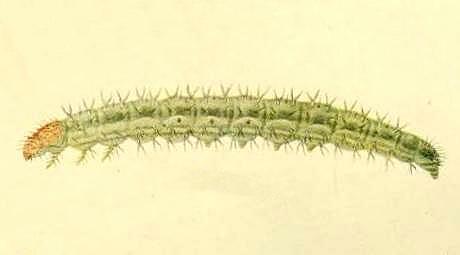 The caterpillar is green with a yellow head and prothorax, and has sparse stiff hairs. 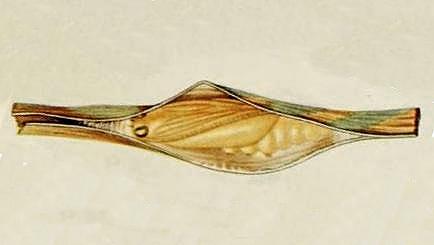 The caterpillar lives in a case made from a rolled-up rice leaf. The caterpillar pupates in its case. 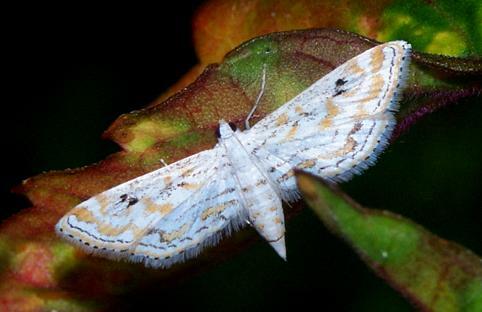 The adult moths have semi-transparent wings, with faint brown zig-zag lines across them. Each fore wing has two black comma-shaped marks, one double and one single. The moths have a wingspan of about 2 cms. Volume 9, Part 8 (1854), p. 276, No. 269. Issue 49 (June 2008), pp. 26-29.